” The euro rose to a near two-week high on Monday after assurances from Italy that it would not leave the European Union calmed investors’ nerves before a key European Central Bank (ECB) policy meeting. “German government bond yields hit two-week highs on Thursday, leading top-rated bond yields in the euro area higher, a day after hawkish comments from top ECB policy makers turned investor focus to a looming central bank meeting. ” The dollar edged lower against a basket of the other major currencies on Monday after its recent rally to multi-month highs stalled amid diminished expectations for an aggressive pace of monetary tightening by the Federal Reserve this year. The U.S. dollar index, which measures the greenback’s strength against a basket of six major currencies, was down 0.23% at 92.23 by 03:42 AM ET (07:42 AM GMT). The index hit four-and-a-half month highs of 93.26 on Wednesday before retreating, to end the week almost unchanged, snapping three straight weeks of gains. The rally in the dollar lost momentum after tame U.S. inflation data tempered expectations for a faster pace of rate hikes by the Fed. Read more about it Investing.com ! Trading on Monday – 2018.02.19. Tomorrow we’ll concentrate on 2 main currencies. The JPY and the GBP. Why? Because there won’t any economy datas published in the Euro zone and because there will be holiday in the US and in Canada. I read many reviews and datas in the last some hours and I think that this morning the JPY will start to become weaker. The Export forecasts seems too high and the Trade Balance will also lower than the expected. This can help us in many trades, but the question is that will the market react to the news. Maybe not, because the stronger JPY is still good for many countries and investor groups. There will be only one real important event tomorrow. Mr. Carney’s speech. I think his speech will boost the GBP price again, but noone can tell what he will talk about exactly, so his speach can move the EUR and many other currencies’ and commodities’ price too. As I wrote, we’ll check the JPY and the GBP pairs first. These can be confirmed for long term movements, but we have to check GOLD too. The USD and EUR pairs can also be good options, because the market will probably move slower and the techncal analysis will work better on them. Tomorrow we’ll probably trade from the early morning, if the Asian section will be active. So check your e-mail, the website and follow the trades from the begining. Trading on Tuesday – 2018.02.13. Today will be easy for our strategy, because we’ll have only 1 big news for today. The bublication of theCPI of GB. I think that this number will be low, so the GBP will be weaker tomorrow. About trading tomorrow, I can’t tell too much fresh. The JPY and USD pairs will probably go up, because both have to make reversals. The daily USD graph shows the reversal signals 2 days now. Candlestick patterns and indicators shows that it has to be weaker. The JPY shows the signs too. EUR is a big question, but I’m Bullish on it. I will check EURUSD and EURJPY. Strong EUR with weak pears, can make fast profit. If my analysis will be good and the things what I’m waiting for, happens today, we’ll earn nice profit. Forex based investments with monthly min. 50% profit. 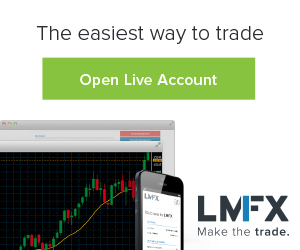 Forex Trading Strategy Course for $300 (+ Lifetime Express Signals). Paid and free Express Signals. Contact me now and start to make money now! “Major economies should not target their exchange rates for competitive purposes and discussions among policymakers over currencies should be confined to official fora, European Central Bank board member Benoit Coeure said on Friday. “The last thing the world needs today is a currency war,” Coeure said a panel at the World Economic Forum in Davos. “We live in a world of floating exchange rates, we live in a world where exchange rates are not and should not be targeted for competitive purposes. “The dollar pushed higher against a basket of the other major currencies on Tuesday as the euro pulled back from three-year highs scaled amid growing expectations that the European Central Bank could pare back its monetary stimulus this year. The U.S. dollar index, which measures the greenback’s strength against a trade-weighted basket of six major currencies, was up 0.34% to 90.44 by 08:43 AM ET (13:43 GMT). The index plumbed a three-year low of 90.05 on Monday. I have some time before I go to meet with some of my friends. So, I’m going to write some words about what happened today until now. First of all we have to talk about the EURO. The European session started strong again. The EUR jumped 33 points higher today. This helped us to close one of our morning trade with more than 60 pips profit. The 2nd most important currency for us right now is the USD. There is holiday in the United Stats, but the currency is moving because of the political issues and the other economies and commodities. Mostly the EUR and the USD moves to different direction. This happened today again, but today the EUR pushed down other currencies too, so some of the USD pairs not moved too much. Our USDJPY buy trade didn’t moved too much because both the USD and the JPY became weaker. The US session will start soon without the US market open. That means that Canada can make extra movements, but we’re not waiting for any big news from there. But don’t think that nothing extra will happen. The politics can move the market today too. The US government shutdown, Trump Tweets or any speech from there can move the USD higher lower anytime. If nothing extra happen, the market will push back the USD higher and GOLD’s price down. This is why we placed a sell trade now. We’ll see what’ll happen, but many indicators shows reversal again, and I hope that noone will not ruin this trade now. Forex Trading for risk free online salary – READ AND START NOW! “The euro hit a fresh three-year high on Monday as optimism around growth buoys expectations of tighter policy from central banks, while the chance of a pro-European coalition in Germany also boosted confidence in the continent. With the world in general and Europe in particular showing signs of sustained economic growth, global stocks benchmarks jumped to fresh highs, even though investors are now pricing in the withdrawal of central banks’ extraordinary stimulus.